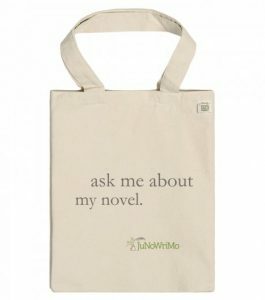 If you love JuNoWriMo as much as we do, you’ll want to show off your participation with as much awesome swag as possible. Here’s how to get your hands on our merch. 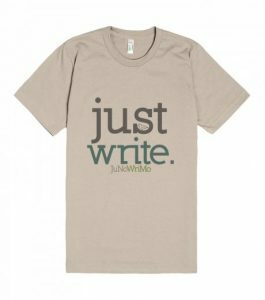 There’s nothing like sitting in your local coffee shop during June, pounding away at your novel whilst also rockin’ one of our sweet T-shirts. Drink your coffee in style. Deck out your bag with sweet buttons. Scribble in your JuNoWriMo notebook. It’s all here, plus other cool swag.